I started today day early, about 7:15 is when I got to the river. I was joined by a friend for a couple of hours, but just before he arrived I put a couple casts in to see how my fly would fish. First cast a rainbow came from ten feet upstream to chase the fly. By the time he got close the fly was already out of the water. I threw it back in and he clobbered it. A little bit before my friend had to leave I stuck a smaller one on the same deceiver style articulated streamer. Another chase, recast, and clobber. I decided on a whim to visit a stream I last fished two years ago. It looks sweet and it really should have brookies, but today I caught the same number this time as last time... which is zero. I did, however, catch some shiners and spotted an unidentified fish about 6 inches long, maybe a salmon parr. I then jumped over to a bridge crossing on a bigger river that I have never been to before. I just wanted to see how good it looked, it is not likely many fish avoided being taken home here. It is super deep and that means the state probably puts most of the brood stock they put in this river in this hole. 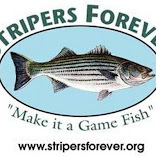 Definitely worth running streamers through next spring. A Sedgehammer caddis pattern was sipped by the gorgeous rainbow above before the surface activity slowed. I never did get the head-and-tailer. In the faster water at the head of the pool the Ausable Ugly once again showed it's fish catching ability, bringing a brown and two rainbows to hand. I missed two takes as well. I had big plans today. Pike. This is one of those times of year when Pike get all juiced up. But my friend who was to be my partner in crime backed out and I needed to regroup, quickly! It was already too late in the day for me to make the run to my favorite brooky stream so I decided to go after another type of monster. It has been a little while since I last chucked streamers on the Salmon and I decided today was the day. It might as well be, not much fishing is going to happen tomorrow and Sunday is going to be chilly! I'd rather reserve Sunday for a long ride in waders. The leafy- tannin staining in the water has gone. Slightly more consistent rains have meant the stream is gradually getting more and more healthy. It's still stupidly low, but it is better. VERY clear. I tend to start out crazy... today my first fly was a Drunk and Disorderly with gold polar chenille... very bright! I had a few takes on that fly. Good ones, but I was just getting started. I got my first fish on a black Peanut Envy. She was chunky! Eventually while going through the fly rotation I tied on a yellow Snot Goblin. That was good for a couple of fish before I lost it on an USO (Unidentified Submerged Object). The first that I landed on the Snot Goblin was a stunning buck who went airborne a number of times. The second one on the SG gave a strong pull on the take, despite being a smaller fish. To finish off the day I tied on a smaller fly, a #10 Ausable Ugly. The more I use this fly the more I love it. Today I was using it on 1x and a sink tip and it still managed to catch me the prettiest fish of the day. Aside from following the traditions of most other Americans I have my own Thanksgiving tradition. Every year I have fished a small stream near where our family spends the holidays. It held a good population of brook trout, but this summer I worried for their safety. When I got down to the stream I was glad to see that their was some water in it. Not nearly enough, but more than a few months ago. I tied on a Partridge and Flash Spider and fished it through my favorite pool. On the second cast, before the fly sank, a wild brook trout came up to eat it. I caught three, photographed two. They were all in one pool. I didn't see a single one anywhere else. Unfortunately this year's drought thinned the population dramatically. If we keep getting dry years like this, these isolated populations are going to disappear. 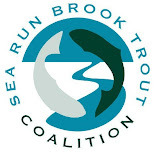 I'm thankful that there are brookies left in this stream and the many hundreds of other thin blue, and that groups like The Sea Run Brook Trout Coalition, Protect Rhode Island Brook Trout and Trout Unlimited continue to work one preserving the species. Not a fish this time. Because we got out of school early today a friend , my brother and I went for a hike in a fairly remote piece of woods with very few major trails running through it. Bright colors were worn to avoid being mistaken for prey by the hunters that are active this time of year. There are brook trout in some streams in these woods, and although I had my 3 wgt. It only got a few casts and I did not catch anything. But we were very lucky people. We got to witness something that very few people ever see. Ever. Glaucomys sabrinus. The Northern flying squirrel. I've seen them in captivity, I know people who have found them in their attics, but it is extraordinarily rare to spot one of these nocturnal animals in the wild. Not only did this recluse show itself in the daylight, it hung around while we were very close to it, letting us photograph it. What a marvelous creature! Catching panfish on the dry well past the time I have in previous years has been a blast, really. But unfortunately I think this may be over.I tried a couple of ponds today, and though I saw what I thought at first to be a rise in one pond, there was ice on both ponds to some degree and the fish weren't having the dry, and they wouldn't go for the dropper. Although there's going to be a pretty significant though brief warm up at the end of the week I'd rather focus that time on brook trout and a fish that has eluded me for years, pike. So I think panfish are out, at least for a little while. I went to a Connecticut River tributary today that I recently spotted a few big trout in that I believe to be Fall Run sea trout. The stream warms up dramatically during the summer and there are no stocked fish in the system, so the must have come in from the salt. The water was down from what it had been, and despite my best efforts swinging heavy wet flies I was not able to move any salmonids. To salvage the day I went after bluegills again. I went to the same pond in Essex, and tied on the same rig that worked yesterday. I was worried the rain and clouds had put the fish off the feel, but I had at least two hours before the action shut down entirely.